A cowboy chef married a cowgirl school teacher. They have a working cattle ranch, while entertaining, and spreading Kansas’ Flint Hills story. In brevity, that’s the Flying W Ranch tale. But, it’s much longer. Josh Hoy, fifth generation cowboy, was operating the ranch in partnership, when Gwen Rieck, Burlingame farm girl with cowgirl instincts, was teaching school and working on Chase County ranches. “We have a guest ranch with facilities and opportunities for people from all over the world to experience the authentic ‘Cowboy Culture.’ There’s horseback riding, cattle round ups, wagon rides, prairie burns, wildflower walks, star gazing, fishing and hiking in the Kansas Flint Hills,” explained Gwen. “We host about 2,000 annually to family gatherings, retreats, weekend outings, weddings, about whatever one can envision,” emphasized Josh, culinary-graduated chef, who’s in charge of meals. So popular has been the meals from their kitchen and chuck wagon, alike, a catering service has evolved. Son of Jim Hoy, renowned cowboy historian, Josh was raised south of Emporia. “The Hoy family arrived in the Flint Hills in the 1870s and is still here. “My greatest memories are of working on the Cassoday ranch with my grandpa Kenneth, a free range cowboy who drove cattle from Texas to Kansas in his youth, and my great uncle Marshall Hoy, rodeo and pasture cowboy and ranch cook. They were my mentors and heroes.” Josh contended. 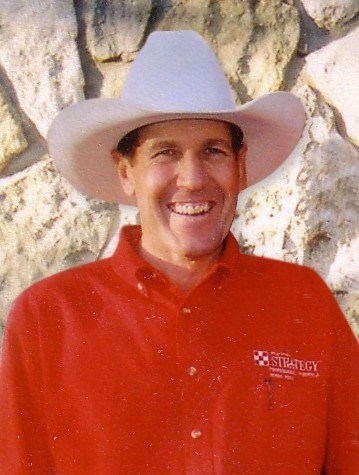 Josh “came home” when purchasing the original thousand-acre Hainline Ranch, in 1996, with his cousin, Warren Kruse, and the Flying W Ranch was born. “I also worked for the Crofoot Ranch, the Pinkston Brothers Cattle Company, and the Cottonwood Ranch until 1998, when Josh and I were married. I’ve been a cowgirl on the Flying W, ever since,” contended Gwen. First, and foremost, she’s a wife, and mother. “Our nine-year-old daughter Josie June is going to be a cowgirl, too,” Mom predicted. The Flying W Ranch now encompasses about 6,000 acres of owned and leased acreage. “We had about 300 stock cows and graze 1,500 yearlings,” said Josh, noting dry conditions forced “destocking” some cows. “We keep 100 Longhorn and Corriente cross cows and are starting a buffalo herd,” Josh continued. Original buildings have been renovated and expanded to include a cabin, lodge and bunkhouse. “Various guests have different requests, and we can accommodate whatever they want,” Josh reiterated. A graduate of the Culinary Institute of America boot camp in New York, Josh is probably the most highly-trained cowboy cook in the country. Horses are essential to the ranch. “We have our own riding horses, and 10 horses for guest riders. We must sift through lots of horses to meet those needs,” Josh said. There are three draft horse teams and a mule team “We feed with teams, offer wagon rides and drive in parades,” he explained. A buckskin stallion called “Ought 4” is one of Josh’s mounts also used for breeding. “We have one good mare, and a couple of mustangs to raise foals,” he said. “Our headquarters is the old ‘Deuhn place,’ that my mother’s family, the Pattons, homesteaded in the 1800s. The home and barn were from a Sears & Roebuck catalog, and constructed in 1900,” Gwen inserted. “Come on out and experience the Flint Hills at its best on the Flying W Ranch,” Josh and Gwen welcomed.